1.) Wash and dry your multi-colored peppers. 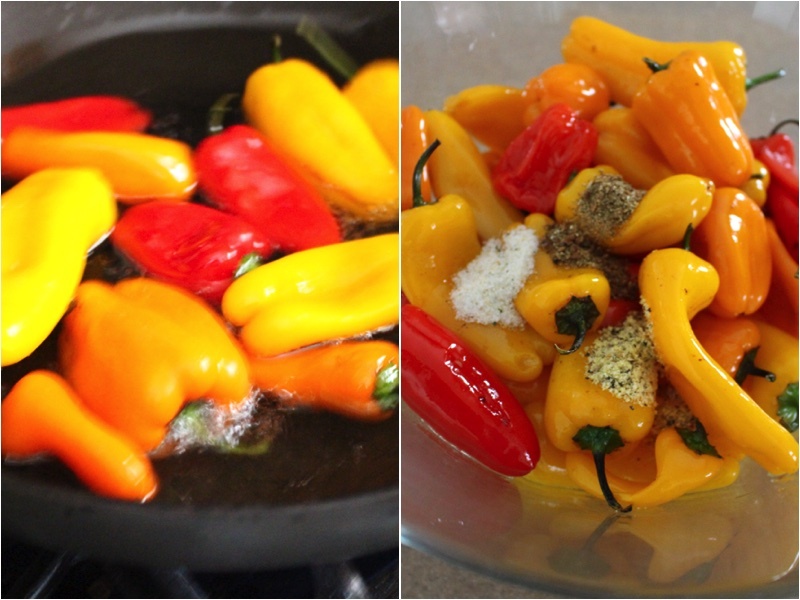 Place your peppers into a hot oiled skillet and fry for 4 minutes on medium heat and on both sides. (8 minutes total). 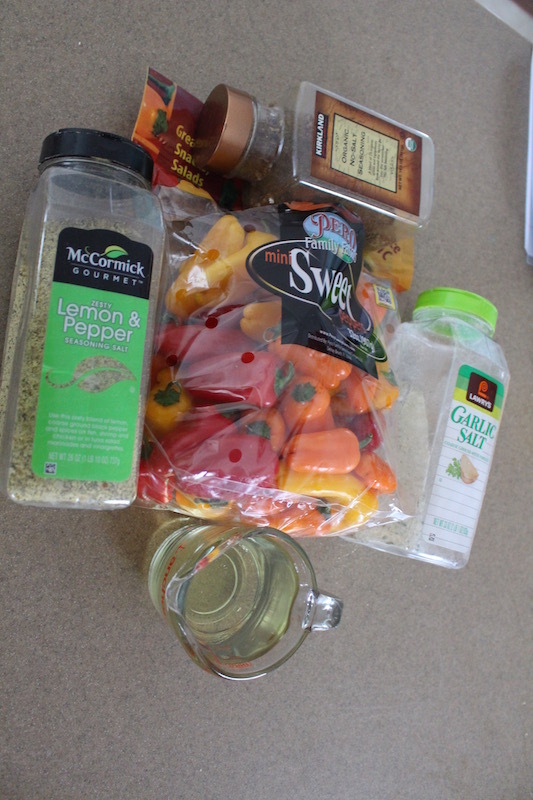 Take out your peppers and drain them with a paper towel. Place them into a large mixing bowl, add seasoning and mix well. Place on a serving dish and enjoy. Wash and dry your multi-colored peppers. Place your peppers into a hot oiled skillet and fry for 4 minutes on medium heat and on both sides. (8 minutes total). 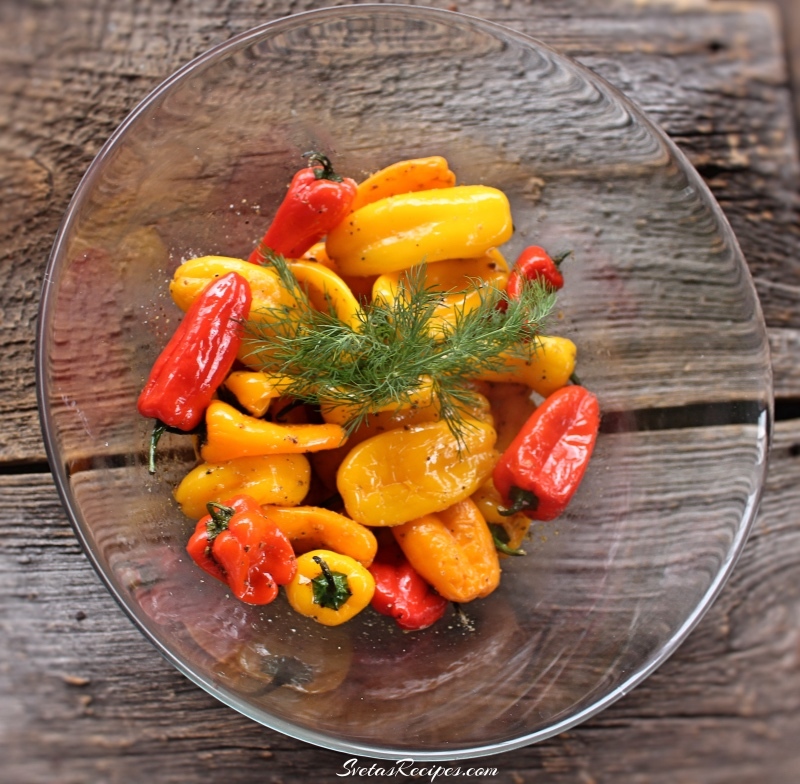 Take out your peppers and drain them with a paper towel. Place them into a large mixing bowl, add seasoning and mix well. Place on a serving dish and enjoy.